Part of the normal “lifecycle” of Cisco products, product lines eventually reach a point of “planned obsolescence”, at which point the OEM vendor no longer sells the product line, and will eventually discontinue support. Cisco is constantly updating their products and releasing new, innovative features that mostly impact organizations that are on the bleeding edge of technology, in terms of their desired network capabilities. Products reach the end of their Product Life Cycle for a number of reasons. These reasons may be due to market demands, technology innovation and development driving changes in the product, or the products simply mature over time and are replaced by functionally richer technology. While this is an established part of the overall product life cycle, Cisco Systems recognizes that end-of-life milestones often prompt companies to review the way in which such end-of-sale and end-of-life milestones impact the Cisco products in their networks. With that in mind, we have set out below Cisco’s end-of-life policy to help customers better manage their end-of-life transition and to understand the role that Cisco can play in helping to migrate to alternative Cisco platforms and technology. Lets take a look at the Cisco Catalyst 2960S Series switching product line, a widely deployed switch product which become EOS (End of Sale), EOL (End of Life) in recent memory. The Cisco Catalyst 2960S Series is a line of capable, managed Gigabit Ethernet and PoE+ switches that were announced End of Life in November of 2014. The latest date this series of switches would be available for purchase through authorized channels was announced to be November 6, 2015. New software updates for these switches would no longer be available as of November 5, 2016. Cisco would also begin to wind down Vulnerability/Security Support, Routine Failure Analysis, New Service Attachment (Smartnet Support), and Service Contract Renewal by 2020, with a final discontinuance of all support as of Date of November 30, 2020. 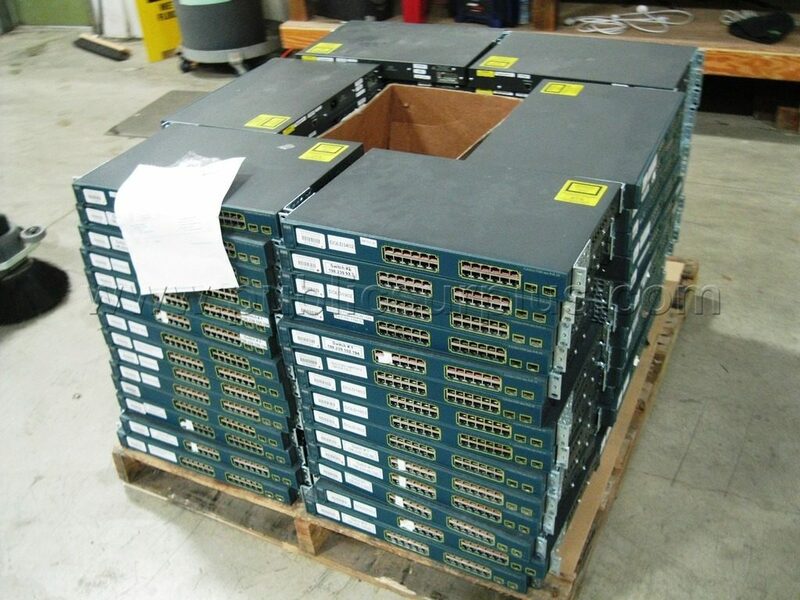 For users who became familiar with the 2960S switching product line, this End of Sale announcement did not necessarily mean they would be forced to abandon the 2960S series and move on to the prescribed replacement Catalyst 2960X Series of switches….it simply meant that these switches could no longer be procured from Cisco Authorized distribution channels. Secondary market IT vendors such as NetEquity.com can help dramatically extend the functional product lifecycle by continuing to test, refurbish and redeploy EOS/EOL equipment. Although they are officially discontinued, Catalyst 2960S Series switches are still available to purchase as “used” or “refurbished” equipment, often at a tremendous savings versus their original OEM List Price/MSRP. For many users, these switches are still a very competent choice and can fulfill their basic networking needs including Gigabit Ethernet throughput, FlexStack, and Power over Ethernet Plus (PoE+).